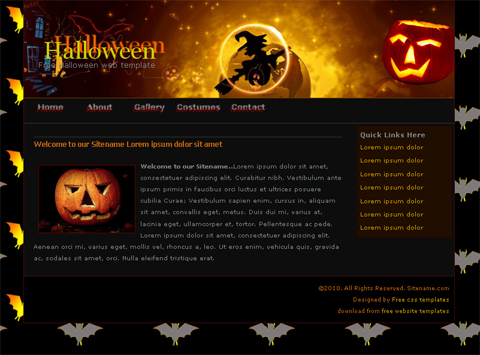 We know it seems a bit early, but we are here to share some free website templates you may use for a Halloween redesign of your websites and blogs. 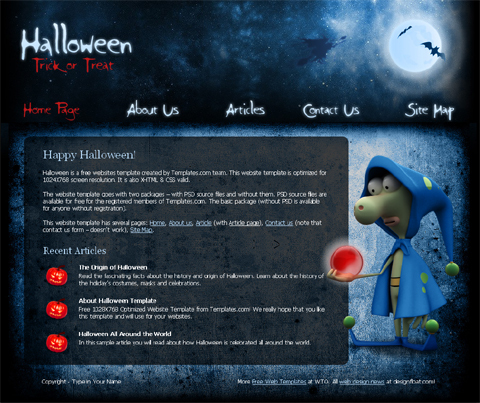 Frankly speaking we did a long search for Halloween website templates, but failed to find more than 6. Still, we hope this will make each of the following templates more valuable. 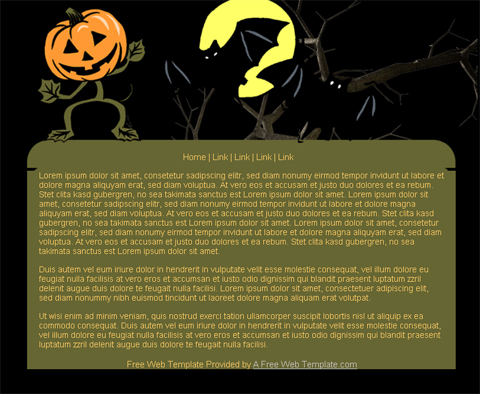 Orange and black are the colors of Halloween so no surprise when you see these colors in the free templates below. And of course, be ready to see a lot of pumpkins, images of ghosts, cats, bets, etc. 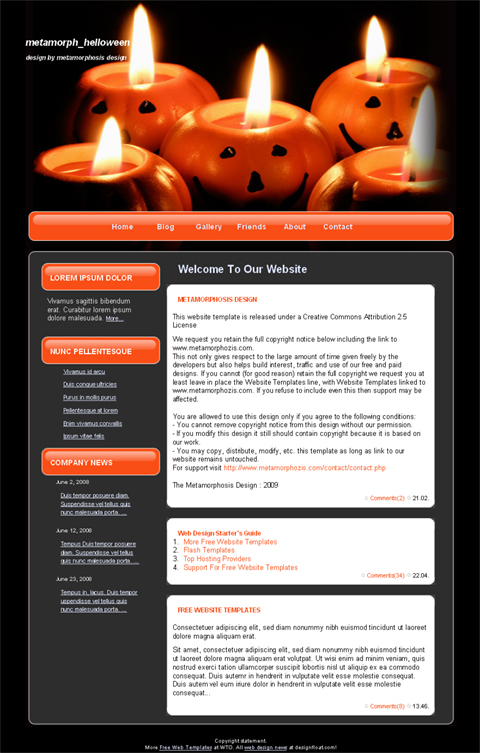 As Halloween is fast approaching it is just the right time to get into the Halloween spirit and look through the free website templates which are perfect for Halloween websites and blogs. 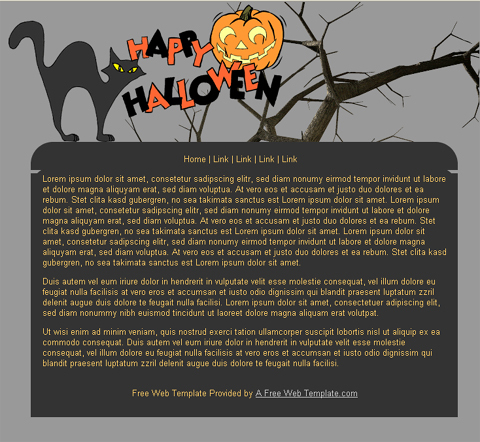 Also, these templates may help you give a Halloween look to other web pages, not relative to Halloween. 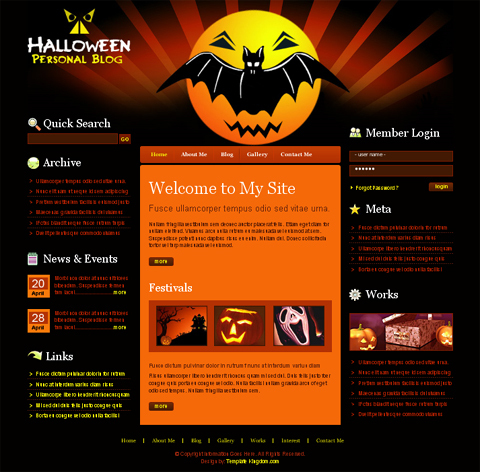 This entry was posted in Free Website Templates, Holiday Website Templates and tagged Free Template, free templates, Free Web Template, Free Web Templates, free website template, free website templates, Halloween, Halloween look, Halloween redesign, Halloween Web Template, Halloween Web Templates, Halloween Website Template, Halloween Website Templates. Bookmark the permalink.